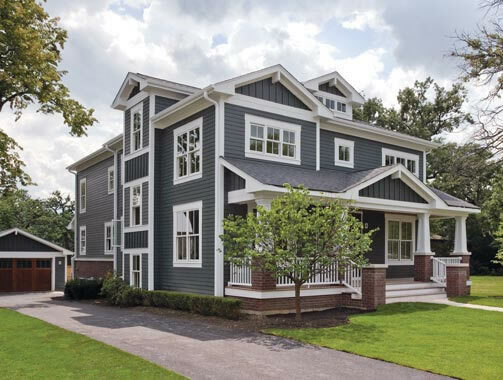 Our latest custom home is being built in Wilmette for a young and growing family. Click here for some good reasons to choose Great Rooms. Make sure you choose a HBAGC member for your project. Award-winning, residential design and construction services to the Chicago North Shore. Based in Libertyville, Illinois, Great Rooms Designers & Builders has been recognized as one of the leading, award-winning design + build companies in the Chicago North Shore and surrounding areas for architecture, design and construction year after year. Great Rooms specializes in providing clients with top-quality custom homes, home remodeling and additions, custom kitchens, and bathroom and kitchen remodeling. At Great Rooms, we strive to provide the best possible quality and value for your custom home or remodeling project ... period. Our proven process and open book pricing keeps projects on time and on budget. Also, with senior-level staff assisting you every step of the way, you'll receive top-quality project management and construction expertise from start to finish. So, if you’re considering a custom home, remodeling project, home addition, kitchen renovation, bathroom remodel, or other major improvement, we encourage you to contact us so we can prove that your new project can be an elevating experience. Click here to view more of our custom homes, additions, remodeling projects and custom kitchens. What are the HBAGC Key Awards? Find out what they are and what it means to you. We have an in-house interior designer to help you incorporate your own style into your project. For information about commercial office build-out and remodeling, visit the website of our sister company, Suite Spaces, Inc.
*45 days for new kitchen does not include design time. Based on average scope of project. Providing custom home design and construction, including home remodeling and additions, custom kitchen design, and bathroom and kitchen remodeling to Libertyville and the Chicago North Shore. © Great Rooms Designers & Builders, Inc. All rights reserved. Branding and website by Acceler8 Creative. Photos © Linda Oyama Bryan.